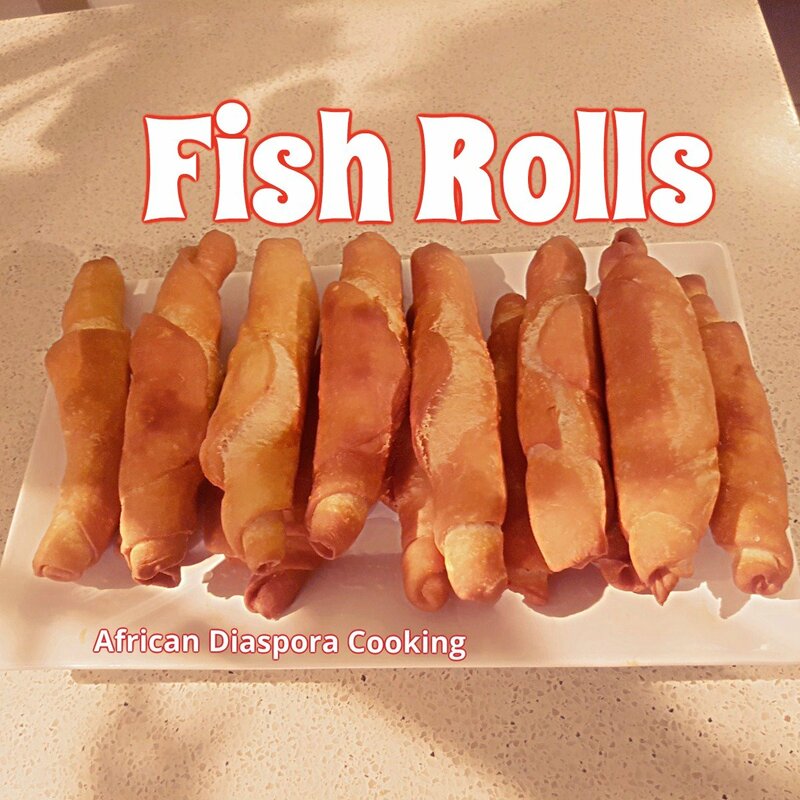 Growing up in Africa precisely Cameroon, i ate lots of fish rolls at school. Those women selling them used to make very delicious and fluffy ones. The fish inside was not much since it was sold just for 25F not even equal to a doller. So they had to economise the amount of fish that they put into each fish rolls. When i thiught of that , i made mine with plenty of fish inside. It’s actually an African street snack. Very popular in some west African countries like Cameroon, Nigeria Ghana you name it. You can actually adjust the spices ti syit your taste. Some people use sardines as their inber filling while others use markerel. Others add chopped carrots and belle perper. Though i am a spicy person, i still just live making mine with just few ingredients. Spice your markerel fish and deep fry in canola oil . Make sure your fish is not over-fried. Remove from heat and allow to cold down. Abd very little oil add some salt and stock cube . Set aside. In a different bowl,add flour, bakibg powder sugar,salt and margerine.We crack eggs and add water and mix properly until though is smooth and workable.knead for over 5-7 mins in a work surface.After you realized that consistency of smoothness, cover witg a cloth or cling wrap and leave to rest for 15 mins.Starting rolling the dough to your own preferable size.Some people cut into retangular sizes. 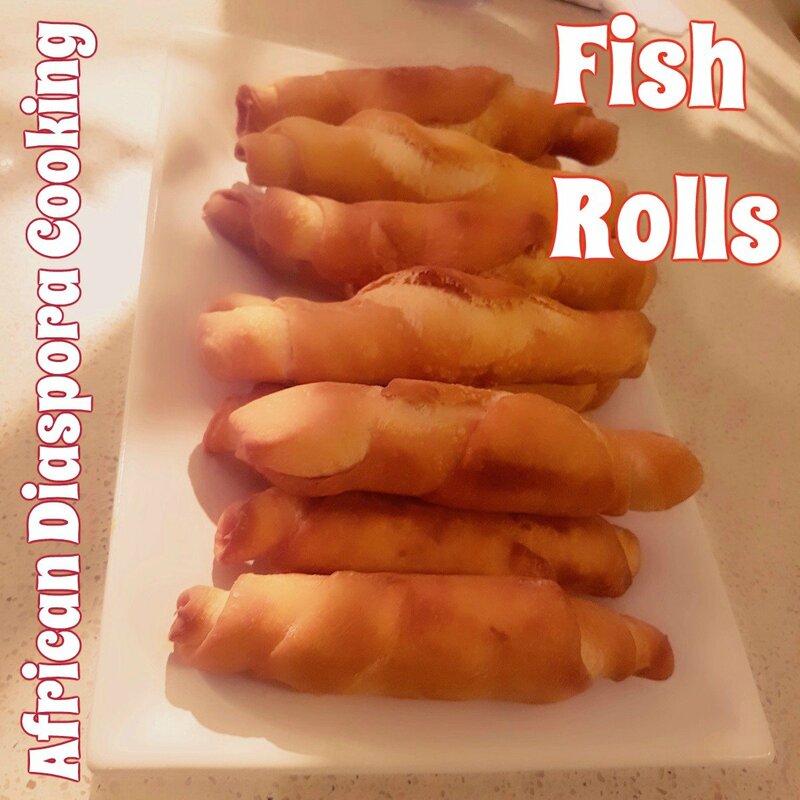 I dont cut in rectangles i cut out equal round sizes roll with a rolling pin and start filling straightaway with fish.You can estimate the size you prefer without necessarily being perfect in your sizes.I use a tablespoon in dishing out the fish because i prefer to have equal amount of fish in each roll. Preheat your vegetable oil in a deep dryer or frying pan. You can fry 4 at a time under medium temperature. 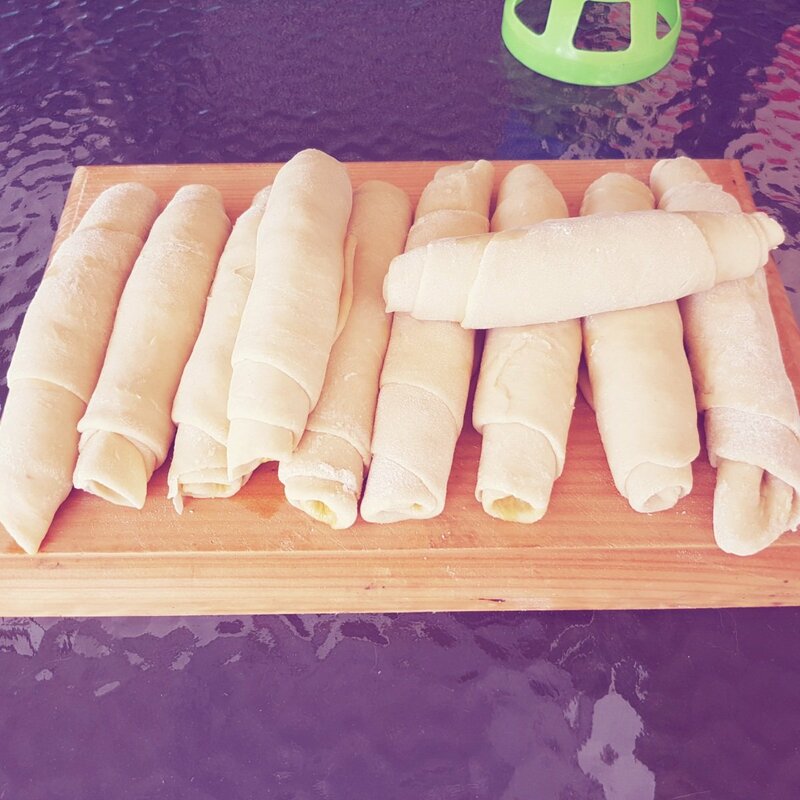 Make sure you don’t fry many at a time.Turn sides until its golden brown. Dish out in a draining bowl. Some people prefer it hot, some warm and kids love it when its cold. Enjoy! To watch full recipe video please click here. Don’t forget to subscribe.